"Ullah’s sinister purpose was to harm and terrorize as many innocent people in his path as possible, by using deadly violence to make a political statement. Ullah’s conviction by a unanimous jury of New Yorkers falls on an Election Day, which fittingly underscores the core principles of American democracy and spirit: Americans engage in the political process through votes, not violence. Today, Ullah stands convicted, he faces a potential life sentence, and his purpose failed. New York City remains a shining symbol of freedom and hope," the statement said. In a statement, NYPD Commissioner James P. O'Neill said this verdict showed New Yorkers will never be deterred by anyone. "Today’s jury verdict of guilty on all charges demonstrates clearly that New Yorkers will never be deterred by anyone who seeks to sow fear in our city, or challenge our nation’s way of life. Violence will never have a place in any discussion in a democratic society. Our fight against the evolving face of terrorism is one that no law enforcement agency can afford to lose, and neither can the public we serve. And so, as we make our way forward together, we remain steadfast in our commitment to maintain public safety in every neighborhood," O'Neill said in the statement. 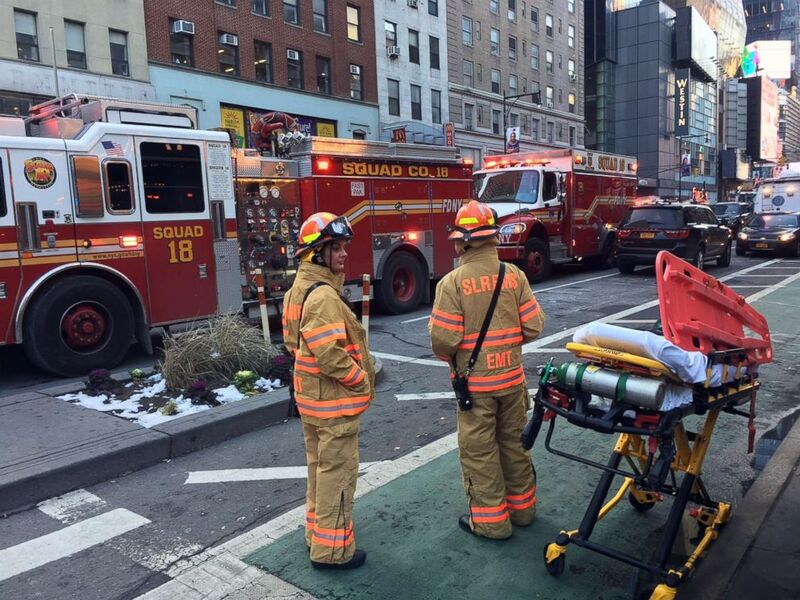 Emergency workers wait with a stretcher near the scene of a reported explosion near the Port Authority bus terminal, Dec. 11, 2017, in New York City. Ullah only seriously injured himself when his homemade bomb exploded in a passageway crowded with morning commuters. The defense said Ullah only intended to kill himself, though prosecutors accused him of a "lone wolf" terror attack on behalf of ISIS. It was a Monday at 7:20 a.m. when Ullah, who moved to the U.S. in 2010, detonated an improvised bomb only blocks away from one of New York’s largest transit hubs. Only five people suffered minor injuries, despite rush hour crowds traveling through the area. Surveillance footage showed commuters walking in the passageway when the bomb exploded, then smoke filled the screen and people scattered. In the video, Ullah appeared to fall to the ground. Police later said his arm and torso were badly injured in the blast. A Port Authority Police Department officer, who was undercover at the time looking for children being trafficked at the bus terminal nearby, apprehended Ullah, with the help of three other officers. 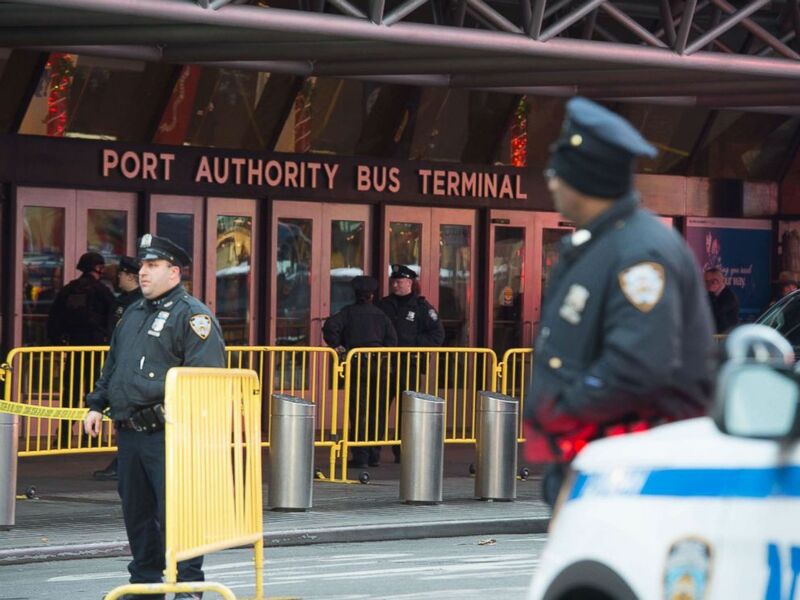 Police respond to a reported explosion at the Port Authority Bus Terminal, Dec. 11, 2017, in New York City. Once he was taken into custody, he admitted to making the pipe bomb at his home in Brooklyn after being inspired by ISIS, telling police: "I did it for the Islamic State." During the investigation, police found evidence of bomb making and a passport in Ullah’s name with handwritten notations, including "O AMERICA, DIE IN YOUR RAGE" at his home. The attack came only two months after an immigrant from Uzkbekistan, also allegedly inspired by ISIS, drove a truck into a crowd on a bike path in lower Manhattan.